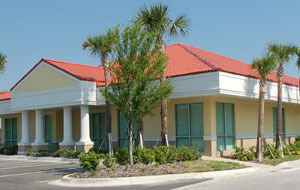 Turn-key development services were provided for a 7,200 SF medical office building which is home to a busy OB-GYN practice at Sand Lake Medical Park at Dr. P. Phillips Hospital. The building design is based on a pod style medical delivery system, and this efficient layout provides for maximum patient privacy while maintaining multiple physician interaction and flexibility. CDG Healthcare Facilities provided complete turnkey services, including site acquisition, marketing and financing procurement for the 20,000 square foot medical office condominium. The project was marketed and 100% pre-sold by CDG. 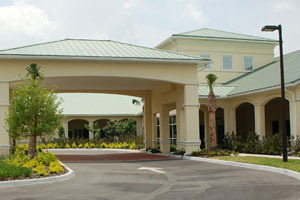 CDG Healthcare Facilities provided site planning, design, permitting, and construction services for a 12 bed 24,000 square foot hospice facility in Orange City, Florida for Hospice of Volusia/Flagler. 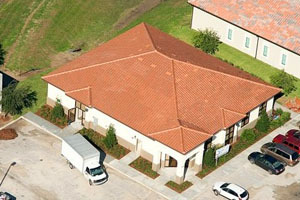 CDG designed, developed and constructed the 6,000 SF medical office building and sleep lab located at Interstate-4 and Fairbanks Avenue. 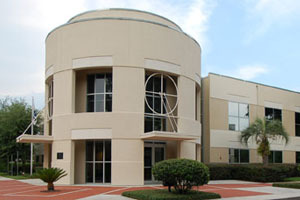 The facility was completed in December, 2008. This project represents the third project CDG completed for the group. 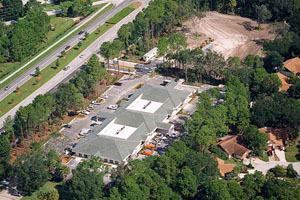 Turn-key development of a 12,000 square foot surgery center and physician's office building on the Dr. P. Phillips Hospital campus. 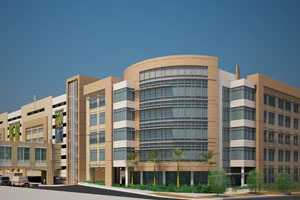 The center will be located in the Lakeview Medical Park, an on-campus medical office park developed by CDG. 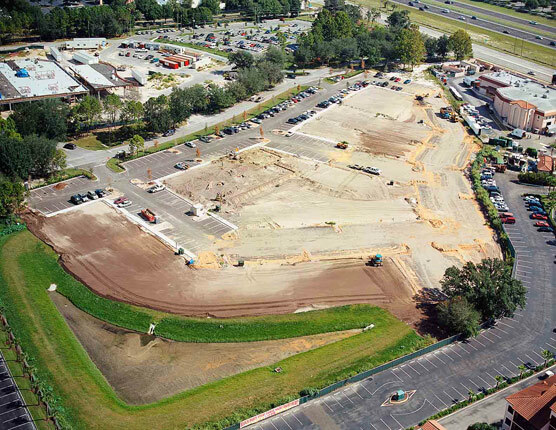 Turn-key development of a 4,532 square foot Wound Care Center on the Orlando Health/Dr. P. Phillips Hospital campus. The project includes hyperbaric oxygen chambers and exterior tank enclosure. CDG developed the project for a physician who in turn leases the facility back to the hospital. 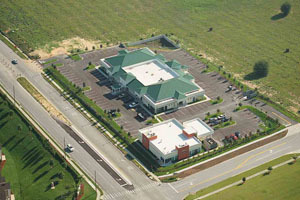 The center is located in the Sand Lake Medical Park, a 65,000 square foot medical office community developed by CDG Healthcare Facilities. The project was completed in June 2009. 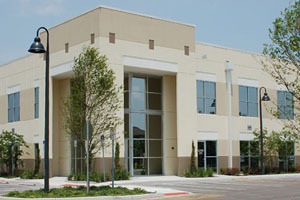 CDG Healthcare Facilities developed a 14,000 SF, 2-story building of which one floor is home to Laservue. Services provided included design, development, financing procurement and construction. 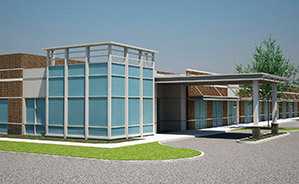 CDG Healthcare Facilities was asked to step in and take over the development services for a new 32,000 square foot ambulatory surgery center and medical office building after another firm was unable to obtain financing and move the project forward. Because of an expiring CON, the project had to be fast-tracked. CDG Healthcare Facilities was able to preserve the CON and break ground on the building in a timely manner. CDG Healthcare Facilities will own the building and lease it back to the hospital. 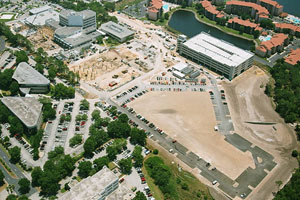 Turn-key development of a five-story, 150,000 square foot medical office building and ambulatory care center on the campus of Orlando Regional Medical Center. Services also include space planning, leasing and procurement of financing. 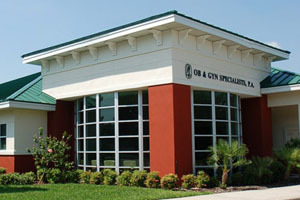 CDG Healthcare Facilities developed a 14,000 SF, 2-story building of which one floor is home to the Orlando Aesthetic Institute, which comprises offices and a cosmetic surgery center. Services provided included design, development, financing procurement and construction. One of the largest cardiology practices in Central Florida engaged CDG Healthcare Facilities to provide complete turn-key services for a 28,000 SF clinical office and cardiac catheterization lab. 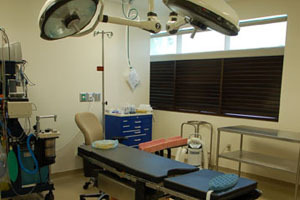 Services provided included site acquisition, design, AHCA compliance for the catheterization lab, permitting and construction. 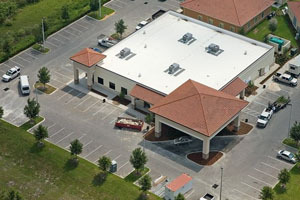 The facility is located adjacent to the Center for Digestive Health, another recent CDG Healthcare Facilities project, just east of Florida Hospital in Orlando. 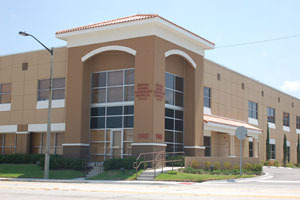 The Center for Digestive Health is a 20,500 SF single-story clinic and licensed ambulatory surgery center. 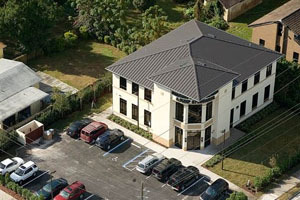 This state of the art facility is located just east of Florida Hospital on Mills Avenue. 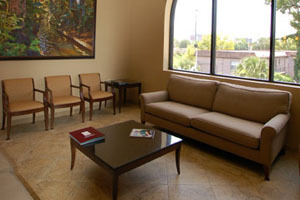 The upscale lobby and entrance area provides a welcoming ambiance for patients, staff and doctors. Turn-key services provided by CDG Healthcare Facilities included site acquisition, procurement of financing, design, development and construction. CDG Healthcare Facilities received the Award of Merit by Associated Builders and Contractors, Inc. in the 2002 Excellence in Construction category of the Hospitals/Healthcare division for projects between $1-$5 million. The ambulatory surgery center is a state of the art 6,000 SF AHCA-licensed facility that provides unparalleled service to the community. CDG Healthcare Facilities provided full a complete array of services for this facility, from initial licensure and equipment selection and procurement to building design and construction. 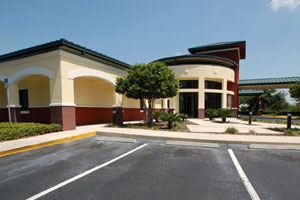 Dr. P. Phillips Hospital engaged CDG Healthcare Facilities to develop this on-campus office park. CDG oversaw site planning and civil engineering which resulted in the development of 60,000 SF of individual building pads. CDG Healthcare Facilities provided construction services, and was able to sell all of the building pads in the park to private medical groups prior to completion of the site improvements. Based on the success of Sand Lake Medical Park, Dr. P. Phillips Hospital again engaged CDG Healthcare Facilities to develop its second on-campus office park. CDG directed site planning and civil engineering, and provided marketing services resulting in the sale of all 8 building pads comprising 65,000 SF. CDG Healthcare Facilities provided all design, development, construction and marketing services for this three-building medical office complex. The buildings total 50,000 SF, and owner-occupants include primary care physicians, surgeons, and a comprehensive cancer center. Having outgrown their existing building, the Institute of Internal Auditors needed a new world headquarters in order to continue to provide services to its 120,000 members worldwide. CDG facilitated the development of a new headquarters by purchasing the Institute's existing facility and designing and constructing their new facility. The new office building totals 36,000 SF and is a 2-story tilt-wall panel construction. CDG provided design, permitting, and innovative interior design services. This 20,500 square feet condominium development houses a major software development company and large regional general contractor. CDG provided site selection services, marketing services which resulted in 100% pre-sales, financing procurement, design and construction.